From conversations on digital content to usage suggestions, this is the future of learning. 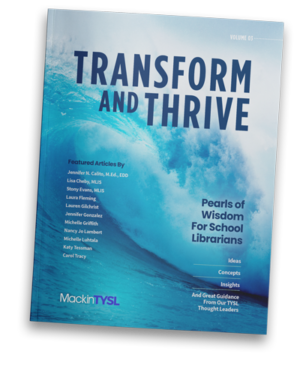 From classrooms to libraries, fundamental topics and issues are enthusiastically covered. The latest trends, topics, products and influential people are all right here. Be the change in your library with fresh ideas and insight from pros just like you. Be a part of the evolution of effective teaching and learning methodology. Considering a library transformation but don’t know where to begin? We’ve assembled pages of relevant concepts, ideas and insights from our TYSL Advocates.